Relax while the kids play morning through evening on this imaginative nautical themed playground. 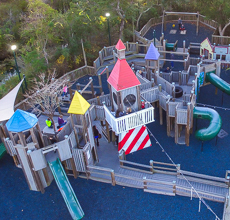 Adventure Landing Playground is an enclosed fenced area, where kids can safely climb, swing, run and play. 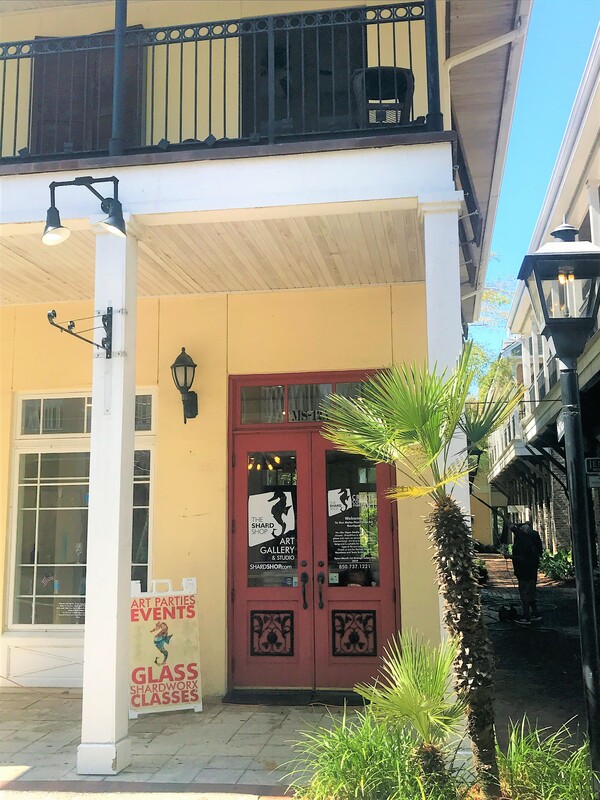 The Baytowne Adventure Zone in The Village of Baytowne Wharf will give you five more reasons to "hang" around Sandestin longer. Get an aerial view of the Village and its surroundings as you soar across the lagoon on the Baytowne Zipline, then head over to the Sky Trail Ropes Course to test your balance and agility. If you still haven't had enough fun and excitement, the Tower Climb and Eurobungy are Destin attractions sure to thrill you. For more information and updated hours please click here. Connect with Baytowne Adventure Zone on Facebook! Experience the ride that brightens every child's smile. 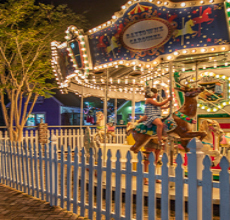 From race cars and dragons to zebras and reindeer, let your child's adventurous side come alive with the festive lights and music at the Baytowne Carousel located in the Village of Baytowne Wharf. **Hours of operation subject to change depending on weather conditions and business levels. 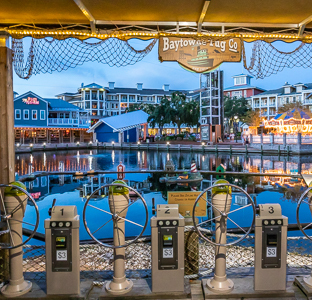 The Village of Baytowne Wharf presents Baytowne LIVE on Adventure Lane. The newly renovated art and entertainment lawn has a brand new stage where you will find musical, artistic and interactive entertainment. Located just across from Blast Arcade and Laser Maze. 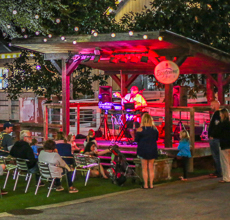 This spring and summer enjoy the musical stylings of local artists on the beautiful Baytowne LIVE stage across from MooLaLa. Concerts are free and open to the public, see entertainment lineup below. 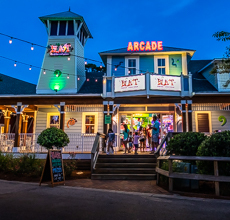 Blast Arcade and Laser Maze is an exciting, fun filled Family Entertainment Center located in Sandestin's Village of Baytowne Wharf. We offer family fun and activities that will surely have the entire family coming back for more. Our Arcade has over 60 redemption and video games that you can collect tickets for great prizes. Put on your best Tom Cruise imitation and try to navigate thru our amazing Laser Maze. And, don't forget to visit Rootin Tootin in our Blast Em Shootin Gallery. Baytowne Live will be packed with entertainment weekly. BLAST announces the addition of the soaker frog in the shooting gallery AND the BAYTOWNE IDOL, green screen experience. Come and do it all! Connect with BLAST on Facebook! Using the latest and most innovative spa technology, our massage beds and chairs offer relaxation from head to toe. With the ability to adjust all massage elements including pressure, location, speed, temperature and more, your comfort is literally at your fingertips. More convenient than traditional massages, the experience offers relaxation and wellness benefits while also giving you the option to choose a duration that works for your schedule. Simply choose any length of time then sit back and let your stress melt away. No appointment necessary. Choose from a private room or grouped together.